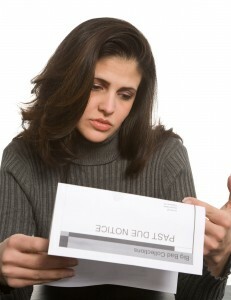 The emotional stress of excess debt can be overwhelming. If you are facing financial difficulties due to divorce, job loss or other reasons, Page Law Office can help set you on a path to remove you from a difficult situation and set you on a path to reset your financial life. Divorce is one of the leading causes of bankruptcy filings. With divorce or other life changes, it is not uncommon to face severe financial impacts. Mortgage debt, division of property losses, loss of income, school and car loans and credit card debt may be overwhelming. It is vital to stop and consider your situation and come up with a plan to get back on track. Page Law Office can help you sort through the details and present your options to you. If bankruptcy is the right path, Page Law Office can assist you to navigate the process and make the right choices. A major part of the Divorce process is division of debt as well as division of assets. Types of shared debts that may be divided in divorce include real estate mortgages, credit card debt, and medical bills. Sometimes it is advisable to address the debt situation before the divorce is finalized to simplify the divorce process for both parties and accelerate the recovery process. If joint bankruptcy filing is an option in your amicable divorce, Page Law Office can help facilitate that process. There are circumstances where one spouse may file, but the other may not. In any situation, bankruptcy filing choices should to be made only after seeking the advice of an experienced professional. Once your divorce is finalized you may file for bankruptcy as an individual. This filing will not include obligations adjudicated in the divorce process, such as child support or alimony. It will also exclude student loan debt and taxes, whether related to the divorce or not. If you attempt to discharge debt assigned to you in the Decree of Divorce, there may be significant negative consequences to you in the divorce, including the Court recharacterization of debt you are attempting to discharge as alimony, making the debt non-dischargeable. Similarly, if you attempt to discharge property settlement payments in bankruptcy, the Court may recharacterize those payments as alimony as well. There are two options for filing bankruptcy in Nevada. Chapter 7 bankruptcy is a way to discharge all of your debt but usually also means selling most of your non-exempt assets. You may only file Chapter 7 once in seven years (depending on type of prior filing). You must pass the “means test” to demonstrate that your income is too low for you to be able to to repay your current debts, therefore higher income filers may not be allowed to use Chapter 7 bankruptcy filing option. Under Chapter 13 bankruptcy, sometimes called “reorganization”, your existing debt will be examined and restructured in order to facilitate your ability to repay some or all of it in a three to five year period. You may be able to keep some or all of your property. A trustee will oversee your bankruptcy process and debt repayment. In order to qualify for Chapter 13 bankruptcy, you must have sufficient income to be able to meet your negotiated debt repayment obligations. At this time, Chapter 13 is available to filers with “secured” debt (that is secured by property such as your house or car) not exceeding $1,149,525 and “unsecured” debt (usually medical or credit card debt) not exceeding than $383,175. The maximum amount will change periodically. If your debt exceeds Chapter 13 maximums, you will be required to file a Chapter 11 Bankruptcy to reorganize your debt. Under both Chapters 7 and 13 you must receive credit counseling approved by the United States Trustee’s office (list of approved providers available from the US Dept of Justice website). Please call Page Law Office for a free bankruptcy consultation to review your situation.